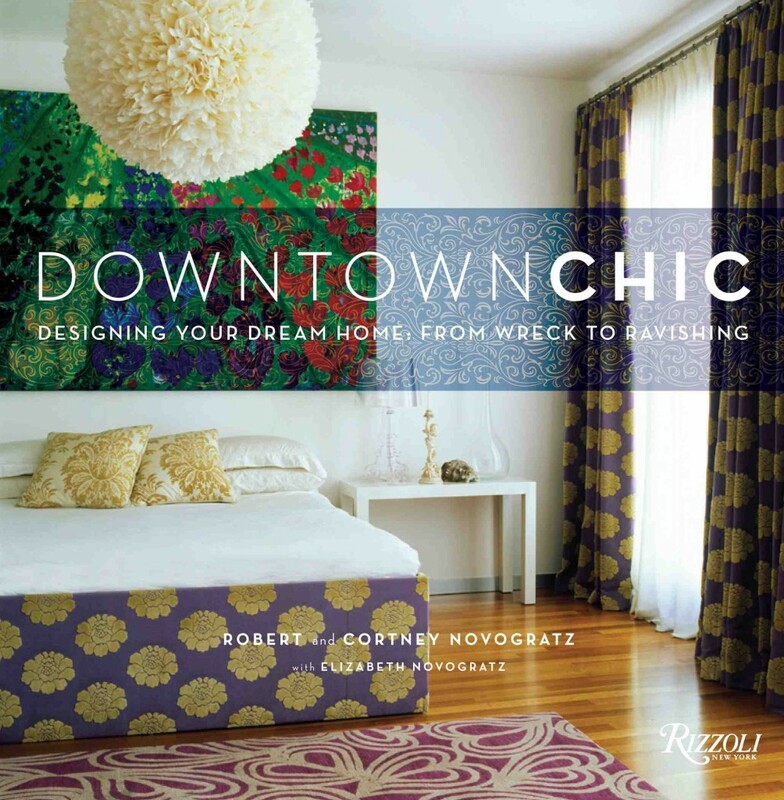 Cortney and Robert Novogratz are a fabulous husband and wife design team that have been renovating their own homes for the past 15 years! 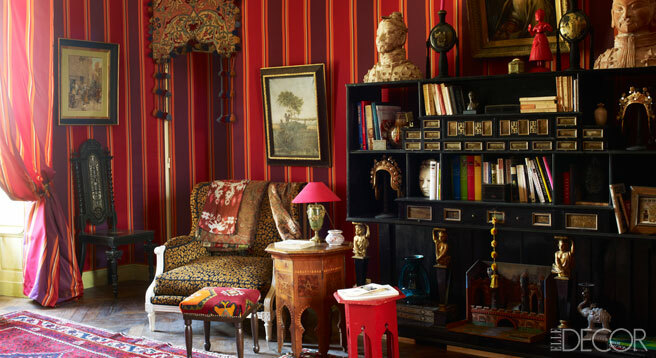 Their style is a mix of boho chic with thrift store finds and antiques. 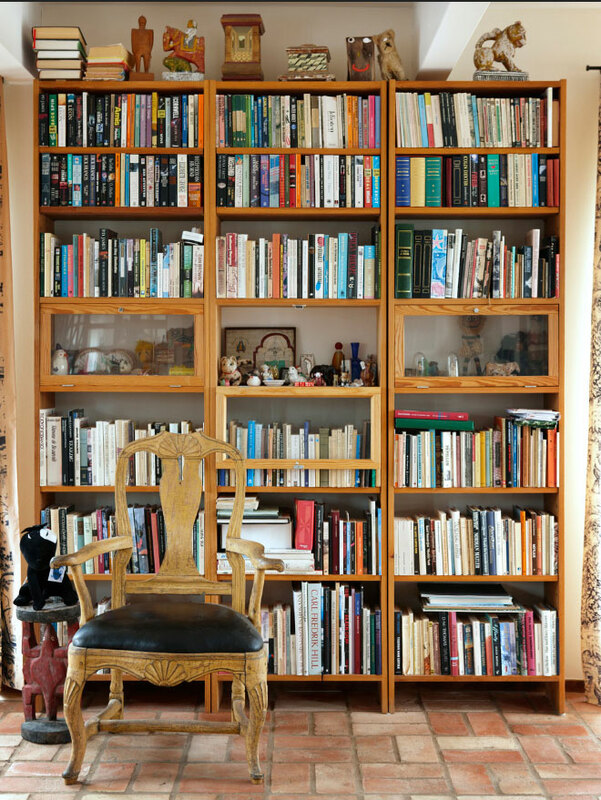 This book offers tips, ideas, quotes and huge photographs of their work. 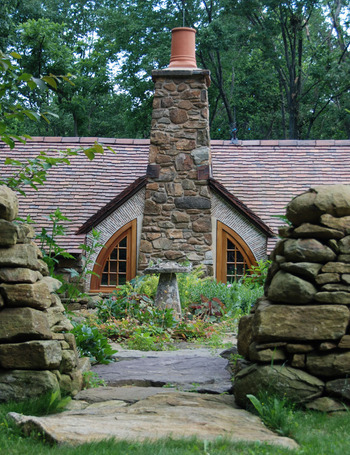 This book motivates me to get my wishlist together and just start working on small projects one at a time, taking each step as it presents itself! 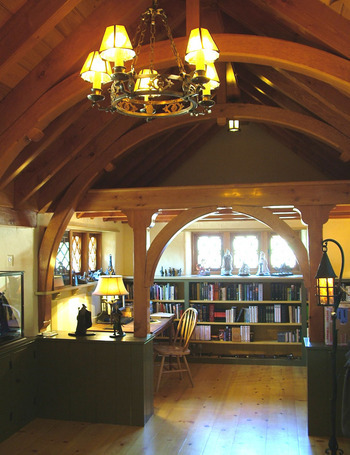 Not really a how to book, adding in their 7 kids this is more a story about their lives through their interior design process. 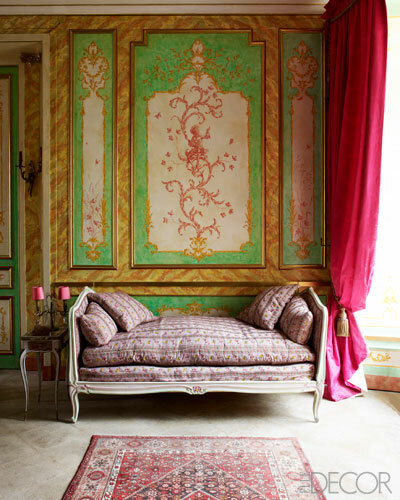 A gorgeous coffee table book to inspire! 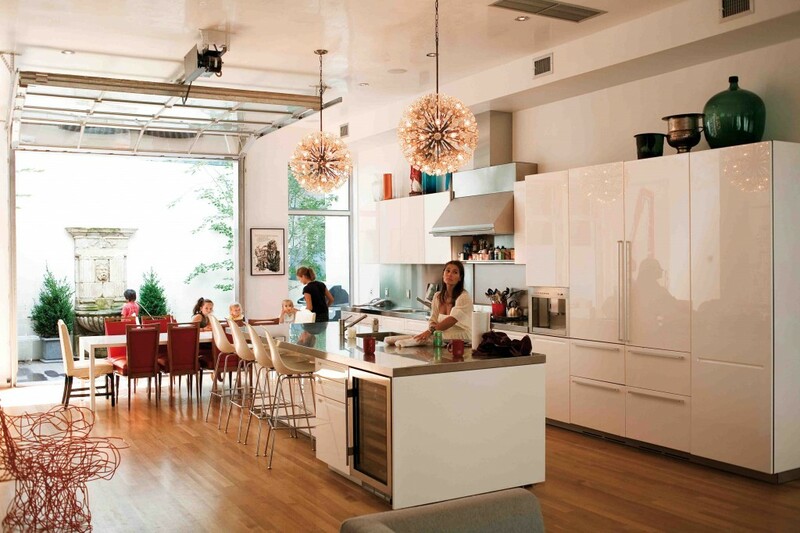 Modern white kitchen with a few eclectic touches of color. 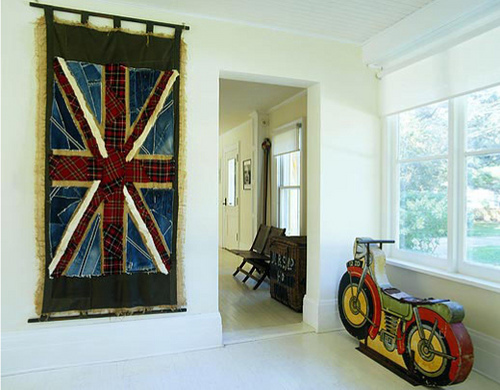 Can’t go wrong with a popular union jack decorating element. 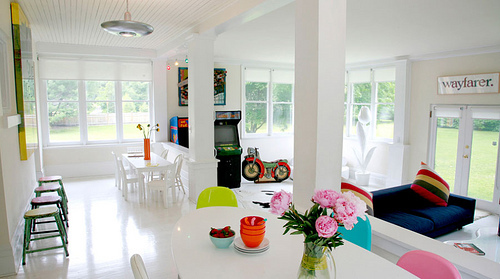 A white basis in the walls, floor and ceiling combing with pops of bright primary colors and arcade games for a retro vibe. 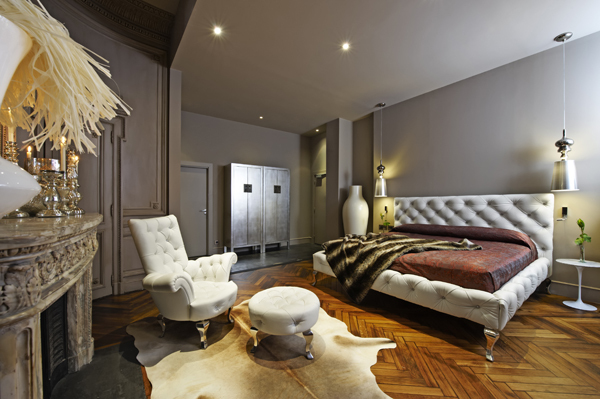 Chic, warm orange bedroom. 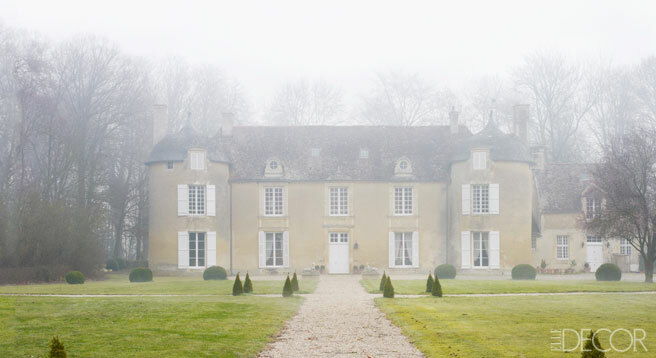 Love this big picture of their twins! 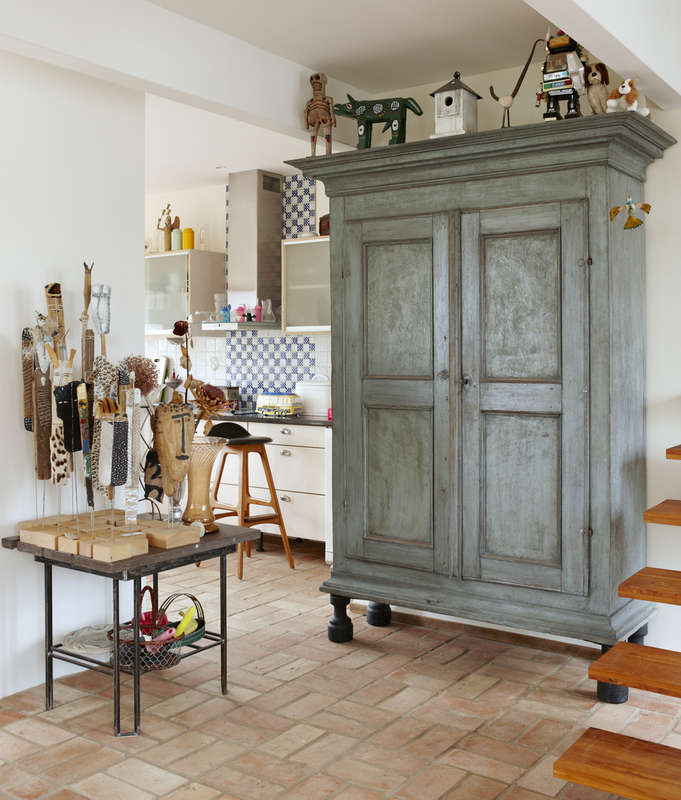 Cork board and blackboard decorating element that also helps you get organised! 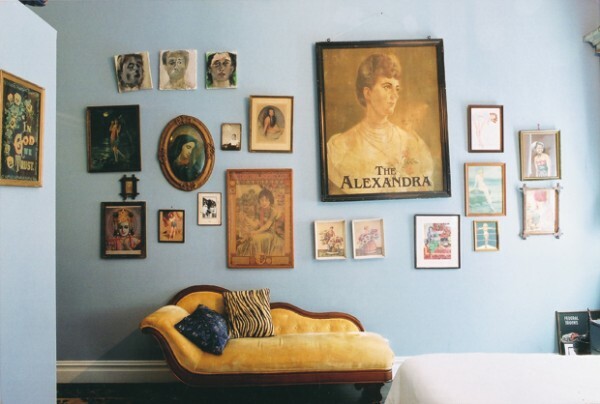 Vintage salon with light powder blue walls and antique pictures and furnishings. 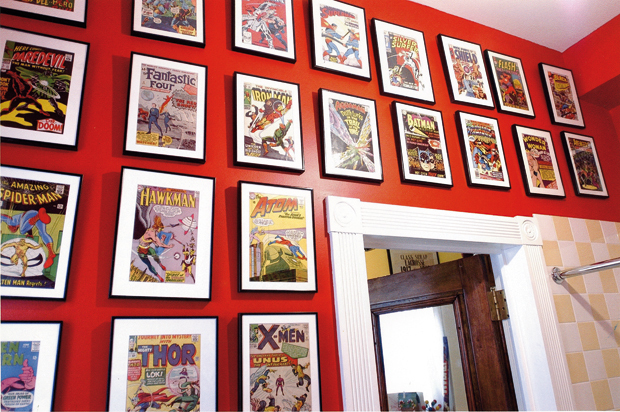 Comic books used as art to line your walls with! 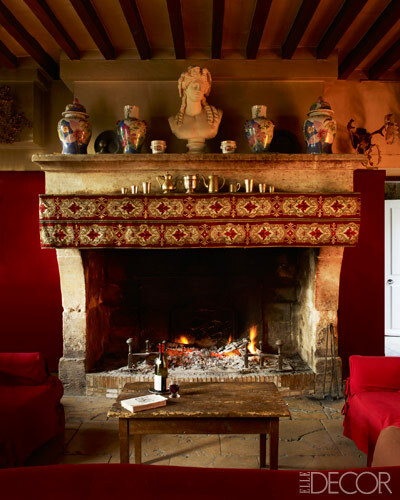 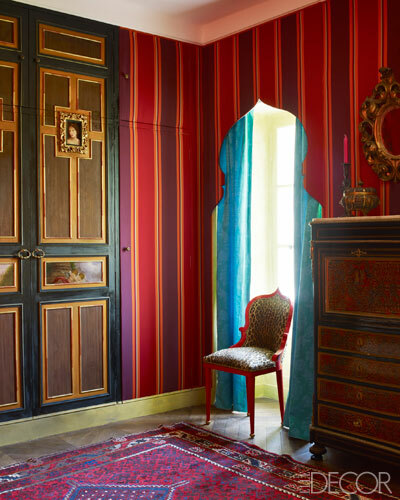 The colorful, exquisite, boho Normandy chateau of Gérard Tremolet. 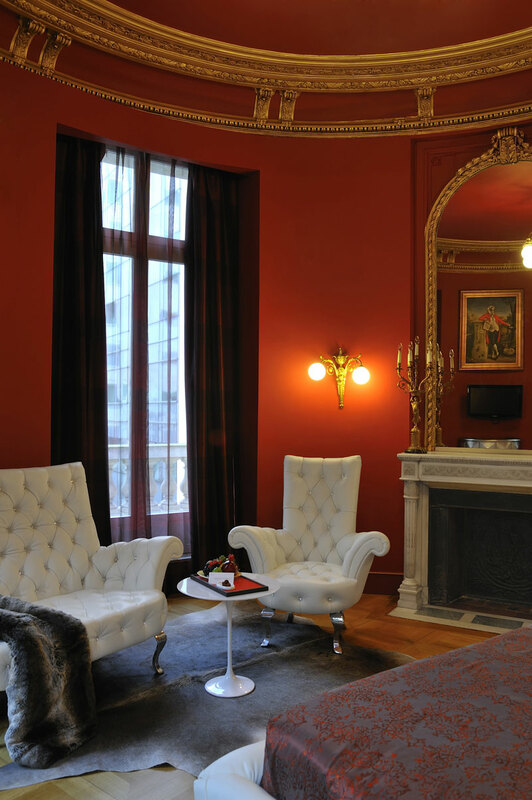 In the salon, the bergère is Louis XV, and the armchair is Régence. 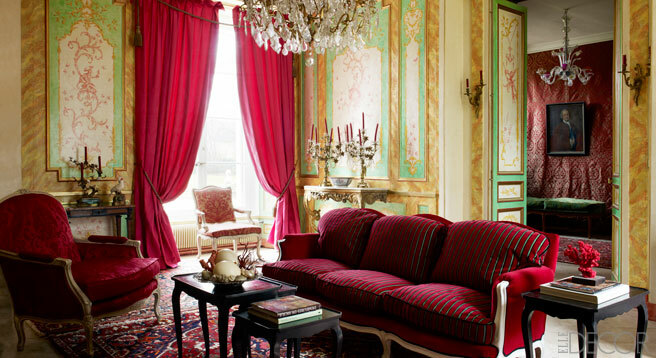 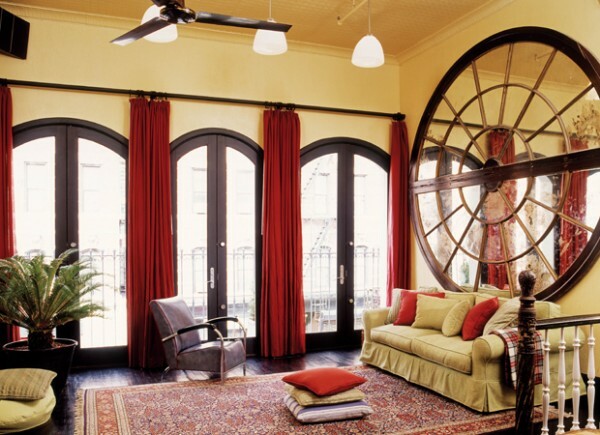 Ornate green and gold walls contrast nicely with the rich reds in the curtains and seating. 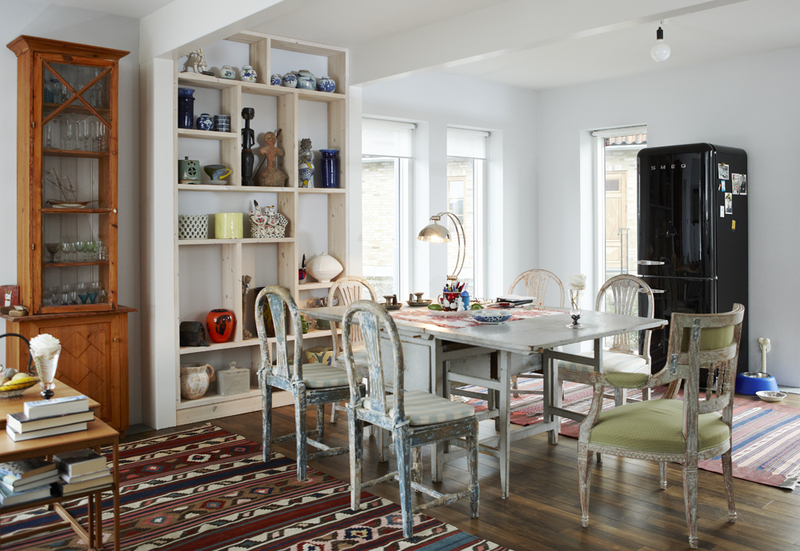 The eclectic dining area with original farmhouse table. 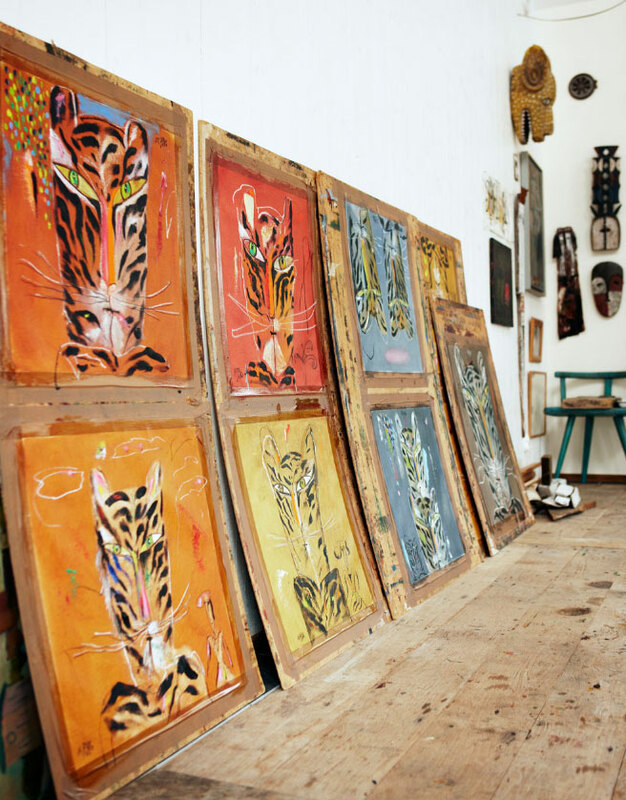 Loving the collection of baskets. 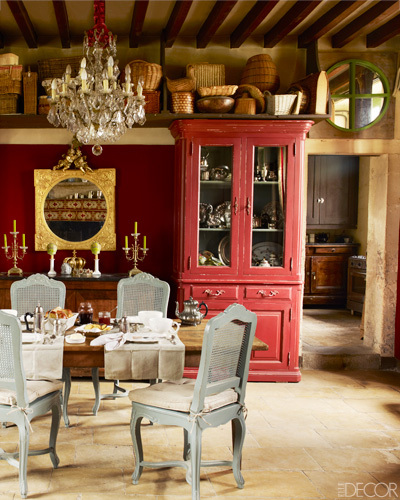 Chinese vessels and a 19th-century bust of Bacchus line the mantel in the dining area. 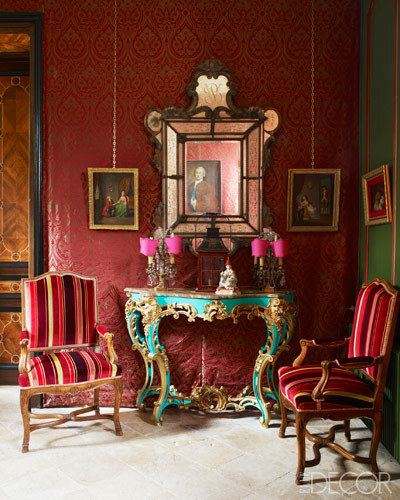 In the hallway there are antique cadelabras and Régence armchairs, red and gold damask wallpaper, turquoise and gold Venetian console and 18th century Venetian mirror. 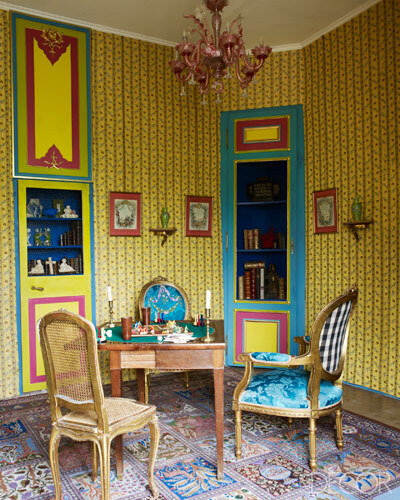 A colorful, yellow and blue eccentric games room covered in antique furnishings. 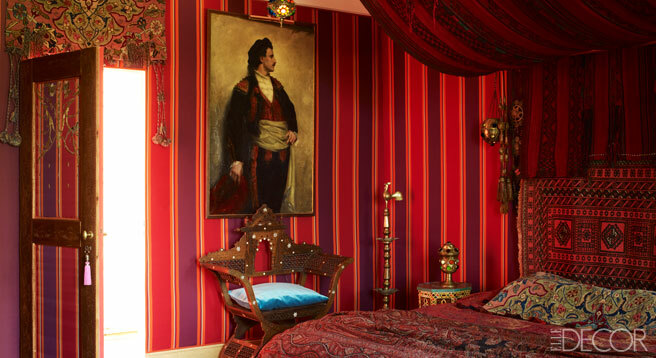 Bohemian red and purple guestroom dressed in Indian cashmere. 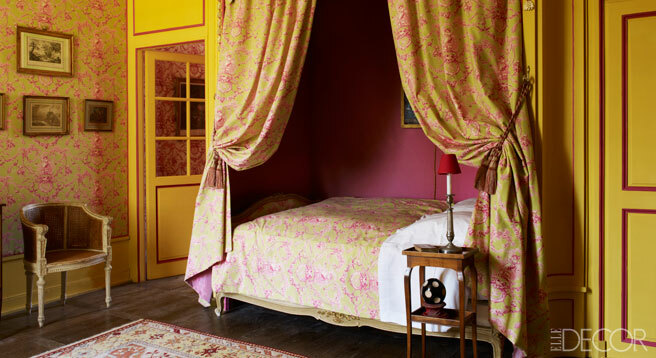 Another guest bedroom, this one’s main theme is yellow and pink toile. 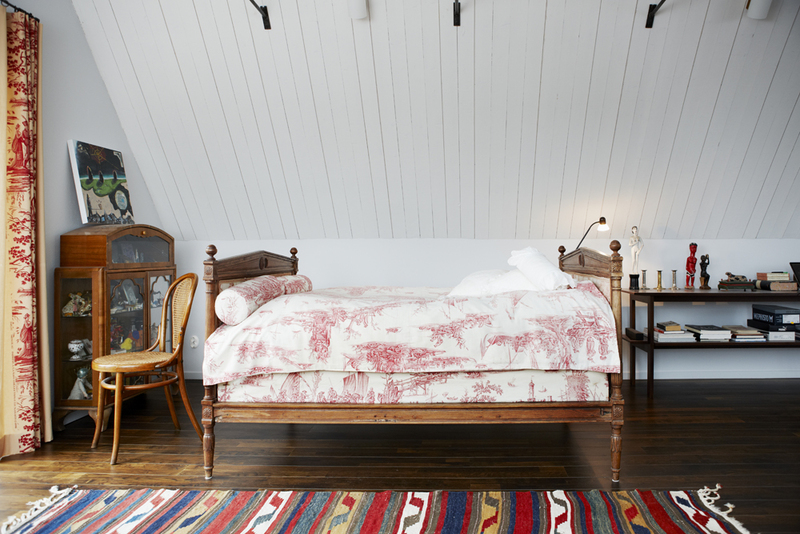 Produced by Anita Sarsidi; Photography by Simon Upton for Elle Decor. 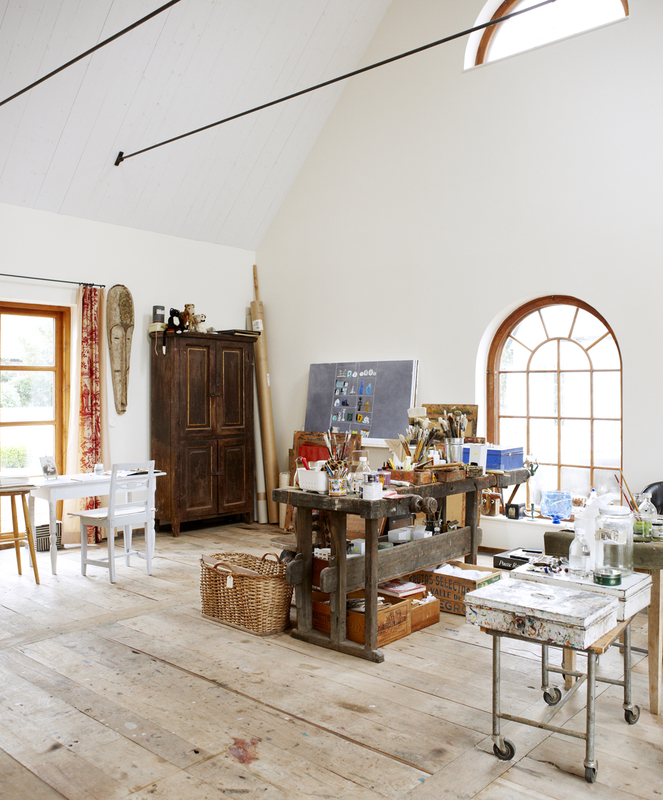 The amazing space and light filled studio of Madeleine Pyk in Österlen. 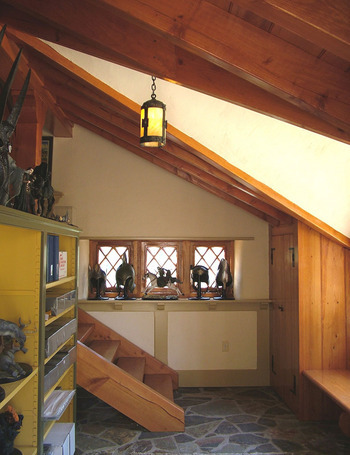 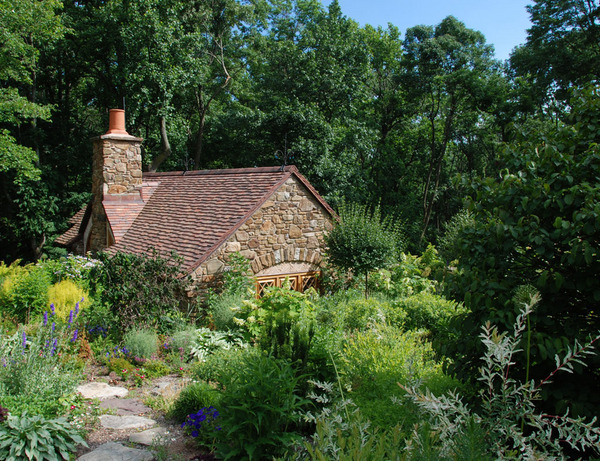 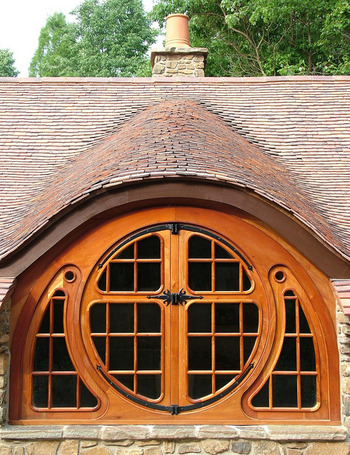 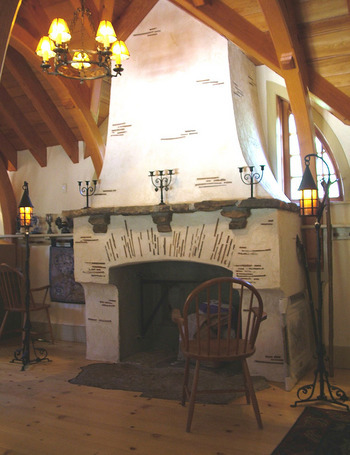 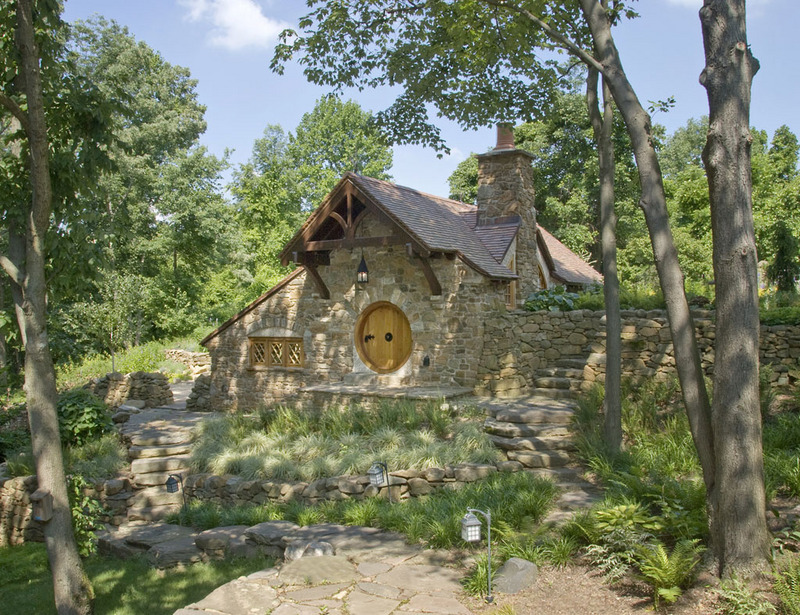 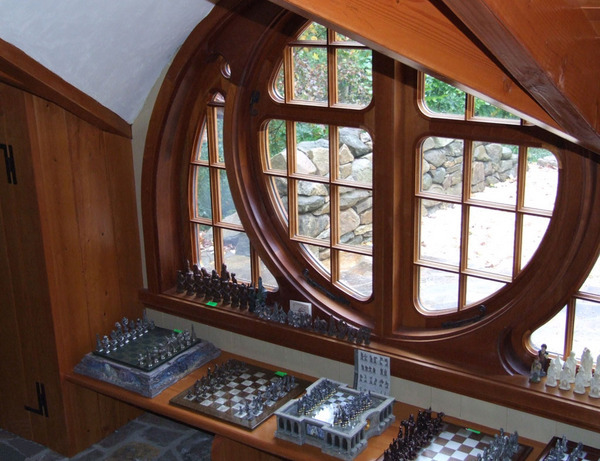 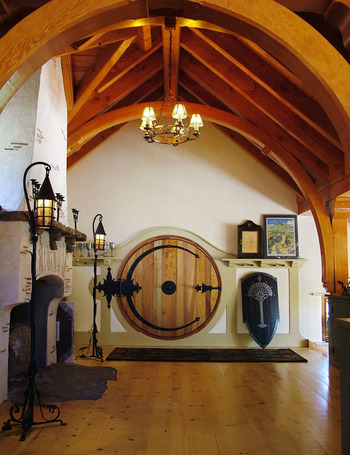 An anonymous millionaire builds his dream hobbit house constructed in “Middle Pennsylvania”. 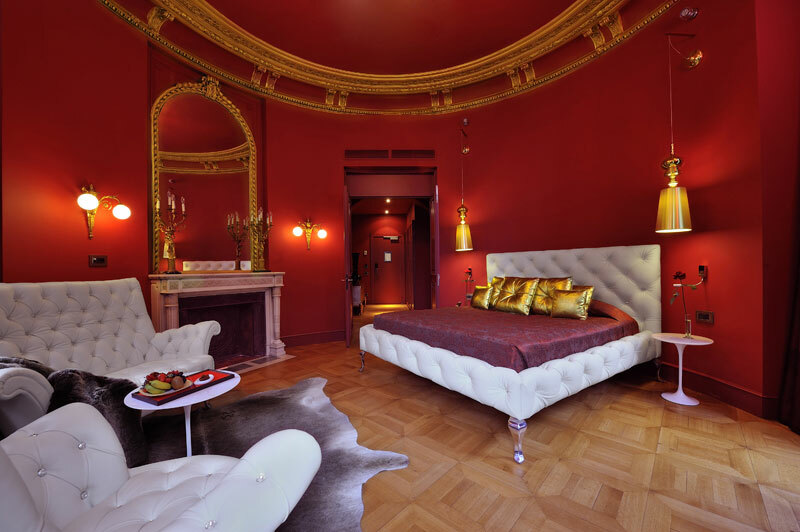 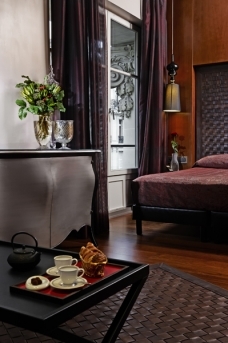 Luxury bedrooms in the Derby Hotel in Paris.